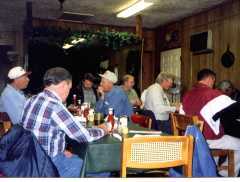 The Bryan Bass Club formed in 1972. The club has a legendary history of bass tournament competition in the state of Texas. Sam Fling, who has led the club and acted as our tournament director for many years, is an original member, and now recognized as a lifetime member. How do I join the Bryan Bass Club? Invitation. Membership in the Bryan Bass Club (BBC) is governed by a constitution and by-laws (.doc file, or .pdf file). Club monthly tournaments are governed by applicable by-laws and additionally annual tournament rules (.doc file or .pdf file) approved each year. These two documents are available as web links here or from the club secretary on printed pages. Club candidates may be invited to join at any of the monthly club business meetings. What are the annual membership dues/costs? Basic costs range from $25 to $160 depending on affiliation choices. There are two affiliation clubs hosted by the Bryan Bass Club, (a) Bryan Bass Club BN and (b) Bryan Bass Club TBF. 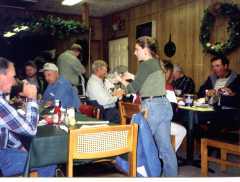 You must be a member of the Bryan Bass Club to join one or both of the affiliation clubs. The Bryan Bass Club BN affiliates with the newer B.A.S.S. Nation organization. The Bryan Bass Club TBF affiliates with the original The Bass Federation organization. It originally caused confusion among affiliated bass clubs when a new "federation" like imitation was created by ESPN B.A.S.S., however Bryan Bass Club membership remains part of both the old and new affiliations. The "new" organization moved away from ESPN and dropped the duplicate word "federation" from their title in 2012, now simply B.A.S.S. Nation. We still say "who, huh, what, which one!" The optional monthly bass tournaments for Bryan Bass Club members have separate $20 entry fees. What does The Bass Federation and B.A.S.S. Nation have to do with my membership in a bass club? In some bass clubs, nothing. Because the Bryan Bass Club (BBC) maintains affiliations with B.A.S.S. Nation and The Bass Federation (FLW Outdoors), Bryan Bass Club BN members and Bryan Bass Club TBF members can qualify for certain state and national events sponsored by those affiliations. Current BBC members consider this qualification important and a prestigious hallmark of the club. Philosophically, BBC supports beliefs and principles extended by both affiliations. Last but not least, the organization gains vital liability insurance protection from them. What are the club events? Meetings -- The BBC meets the first Tuesday of each month to conduct business, exchange information and socialize, usually at C&J BBQ on the Texas Ave "bend" in Bryan. Some members travel to regional affiliation meetings for B.A.S.S. Nation and the FLW TBF scheduled during the year. Club Tournaments -- Tournaments are held each month for members and their guests, with modest entry costs, best day of two days, on weekend dates decided annually, at lake locations decided monthly. Dates are chosen to encourage fishing other major tournament trails like Bass Champs, Southeast Region Texas BASS Nation, or Bass-n-Bucks. During a tyypical year, the club may vote to fish popular Texas tournament lakes like Sam Rayburn, Toledo Bend, Amistad, Choke Canyon, Limestone, Stillhouse Hollow, Belton, Palestine, Coleto Creek, and Livingston. See tournament results to get an idea about recent lake sites. For more information on the club's tournament lakes, click here. Public events -- BBC used to host "open" team bass tournaments each year but has not during recent years. Other official events or activities may be decided at business meetings. Awards Banquet & Top-six -- The club sometimes had an annual banquet with a bass professional as guest speaker to honor the club's angler of the year and top-six members. Past speakers included Rick Clunn, Randy Dearman, Alton Jones, Bud Pruitt, Matt Reed, Zell Rowland, Lonnie Stanley, Carl Svebek, Clark Wendlandt, Dave Wharton, and Jay Yelas... like a who's-who of professional fishing. Top members for a calendar year (January to December) are sponsored at a pretigious tournament the next year. How are top club members determined? BBC uses a point system. Members are awarded points for attending meetings or club events and for placing in club tournaments. At the end of the twelve month cycle, points from up to 9 meetings/events and nine of the twelve tournaments are totaled. The calendar year top-six and angler of the year are recognized at the annual banquet in January. The point system emphasizes consistent performance in both club service and tournament placing. Contact the club secretary/treasurer for 2018, Bill Ray, at fishingfool54@hotmail.com. He'll provide you with the time and place of the next business meeting where you can get many questions answered and meet the Bryan Bass Club. There, you'll meet others that enjoy bass fishing, particularly the fun of light competitive fishing. You'll meet advocates of conservation concepts like catch-and-release to preserve the resource. You'll meet some of the best bass anglers in the state mixed with amateurs, both learning from each other. Pictures of an old February 1, 2000, business meeting, really informal. Disclaimer stuff... Certain names that may be mentioned, like B.A.S.S., Bass Champs, or Bass-n-Bucks for example, are registered names of their respective independent organizations. General information or answers provided within these web pages do not substitute for the club's constitution and bylaws or annual tournament rules that officially govern the club. And, of course, there may be typos, mistakes, or ommissions. Return to BBC Home Page.